In order to qualify for federal loans, students must be enrolled at least half-time (six credits or more) when their aid is disbursed. Students who plan to attend summer session may also be eligible for grants, loans or work-study. The Department of Education limits the amount of federal loans students may borrow each year and over their lifetimes. Three types of federal loans are available to students or their parents. Each has different interest rates and repayment terms. Need help deciding on financial aid? Direct Loans: Offered by the federal government or a third-party lender, Direct Loans can be subsidized or unsubsidized. Unsubsidized loans You are responsible for paying interest on this loan during all periods. Students may choose to pay interest while attending school so that it doesn’t increase the principal balance. The interest rate for undergraduate students whose subsidized or unsubsidized Direct Loan is disbursed on or after July 1, 2018 through July 1, 2019 is fixed at 5.05%. Any loan with a first disbursement date on or after Oct. 1, 2018 and before Oct. 1, 2019 has a loan fee of 1.062%. Each of these loan programs have a six-month grace period if a student drops below six credits (half-time) -- an important consideration when withdrawing from courses. If you withdraw and are enrolled in less than six credits, your grace period will begin. Parent Loans for Undergraduate Students (PLUS) are for parents whose children are enrolled at an approved educational institution at least half-time (six credits). The maximum loan amount is based on the student’s other financial aid and the cost of attendance. Interest accrues and payments are required from the time the loan is made until it is paid off. The interest rate for parents whose PLUS Loan is disbursed on or after July 1, 2018 and before July 1, 2019 is fixed at 7.6%. Any loan with a first disbursement date on or after Oct. 1, 2018 and before Oct. 1, 2019 has a loan fee of 4.248%. Before applying for a private loan, students should complete the Free Application for Federal Student Aid (FAFSA) to determine if they are eligible for federal financial aid. Eligibility for private loans is based on the eligibility of a borrower and/or co-signer. Private loans may have higher interest rates than federal loans and should only be considered as a borrowing option after all federal loan eligibility has been exhausted. Selecting a private lender is the responsibility of the student. 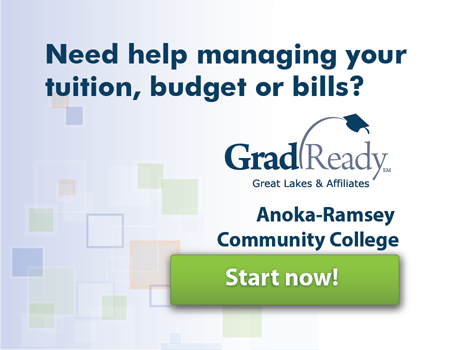 Anoka-Ramsey makes a private loan search tool - FASTChoice (link is already on the page) available to students to compare loan options for a number of lenders so that they can choose the loan that fits their needs. 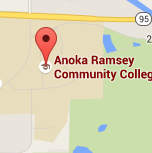 Anoka-Ramsey Community College does not endorse any one lender; a student may choose any private loan lender they would like. The lenders listed on the FASTChoice website are lenders who have most commonly provided private loans to Anoka-Ramsey students over the past three years. Under the Truth in Lending Act rules, private education loans are subject to self-certification, three consumer disclosures at specific times in the application process, and at least a three day delay in disbursement. Due to the number of steps involved in the private loan application process, applicants should allow a minimum of 3 weeks for processing. If you receive a Federal Direct loan, the information is sent to your loan servicer and the National Student Loan Data System (NSLDS). If you have questions about your loans when you enter repayment, we encourage you to contact your servicer or find information about your servicer on the NSLDS website. 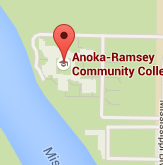 You are responsible for repaying student loans that you receive at Anoka Ramsey Community College. Other state agencies, federal agencies, colleges, and credit companies will have access to information about the loans you agree to repay. It is in your best interest to have regular communication with your loan servicer as failure to repay can have consequences.